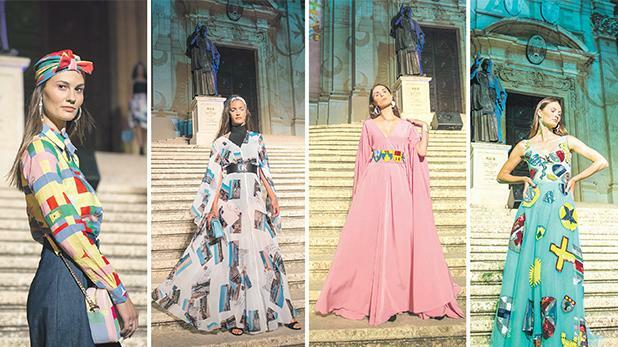 The three-day cultural event, Gozo Alive, made the perfect setting for the Charles & Ron spring/summer 2018 ‘With Love x x’. 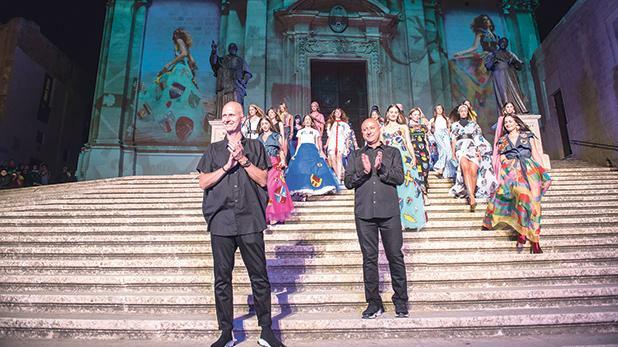 Models graced the impressive steps of the Citadel in Victoria and the Cathedral’s façade was projected with images of their latest graphic print designs. The visuals were in the hands of Mad About Video. The models’ make-up was by Jean Zammit and Alexia Vella using Inglot. The showcase of about 30 C&R looks was a unique mix of history, architecture and fashion in one of Gozo’s most beautiful settings. The crowd hailed Charles & Ron as they joined the models on the cathedral stairs for the finale of the spectacular show in a packed cathedral square. Designers Charles and Ron with their models on the Cathedral steps.